We are happy to announce that from the 1st of February 2017, MapsPeople will have a physical presence in the Danish capital. 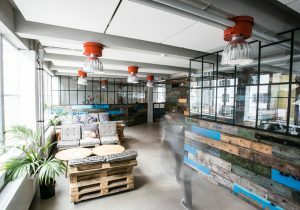 Our new office is located in the Meatpacking District of Copenhagen, more specifically in the innovative and creative coworking space NOHO, which is home to an eclectic mix of smaller businesses, startups and freelancers. With the business expanding rapidly across both the Google Maps for Work portfolio and our indoor wayfinding platform, MapsIndoors, the opening of the Copenhagen office is a natural move. “Our client portfolio is a global one and we feel we are going to benefit from having a physical location in the capital. Our HQ us still in Nørresundby in the north of Denmark, but with the addition of 4 new employees who are based in Copenhagen and an ever increasing client and partner presence outside of Denmark, we find it is the right move at the right time,”, says CEO, Michael Gram. If you are in the Copenhagen area and want to come speak to us, feel free to drop by MapsPeople at Flæsketorvet 28, 1711 København V from the 1st of February. 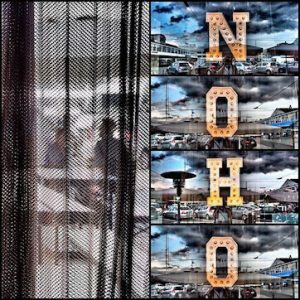 NOHO’s motto is Work, Stay, Play, which refers to the fact that the complex hosts both a coworking space, a cool café and a cocktail bar in the basement. NOHO is the little brother of SOHO, another innovative coworking space in Copenhagen’s Meatpacking District. Read more about SOHO and NOHO here.